100% cotton children's fabric. A great coordinate to ABC 123 cotton panel. Such a fun quilt and only a few hours to create. 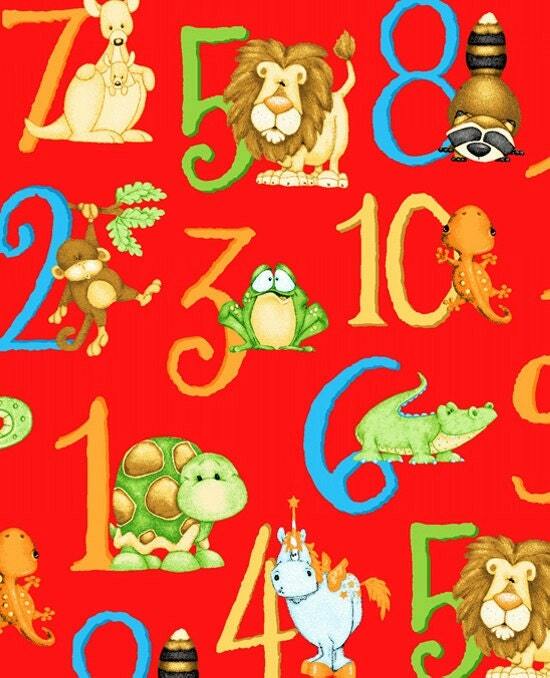 A great fabric line for children/baby quilts, bedding, curtains, valances and all baby nursery items. Colors include red, blue, green, yellow, gold, cream. All fabric from The Quilted Nursery Fabric Store is cut directly from the bolt and in continuous cuts. We now offer incremental cuts, so you can now order 1/4, 1/2, 3/4 and fat quarters. Same day shipping always except for Sundays and Holidays.